All images are for illustrative purposes only, intended to give you a good idea of the style of the Otter Mobility Bronze. 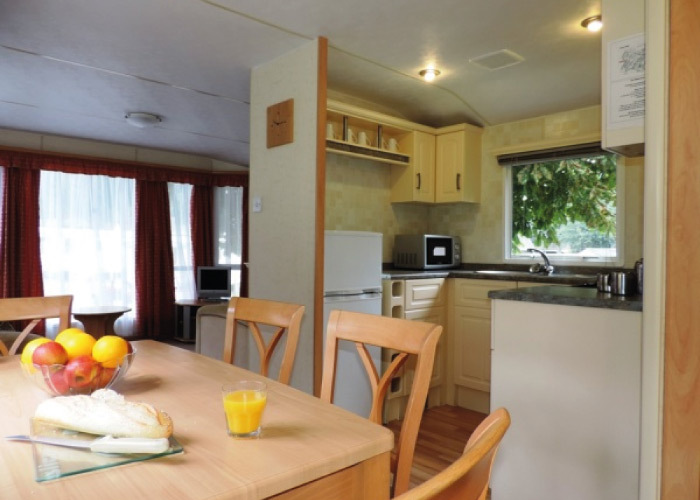 Individual holiday homes can vary in exact layout and furnishing. 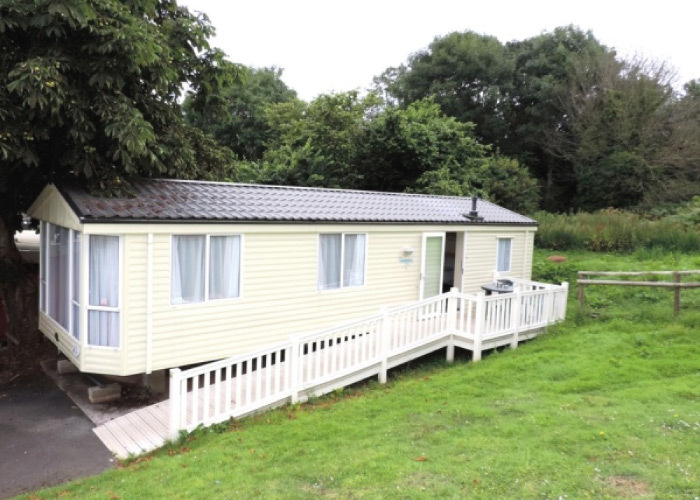 An excellent value economy caravan with a little extra room and enjoyable outdoor space, thanks to being 12ft wide with decking. 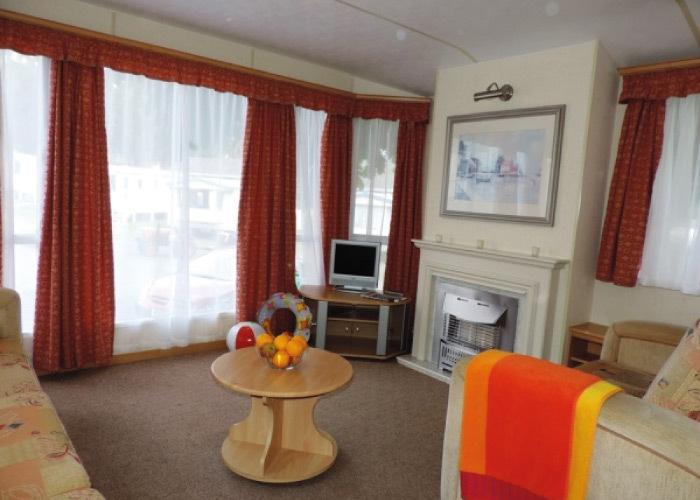 All rooms are wheelchair-accessible with sliding doors. 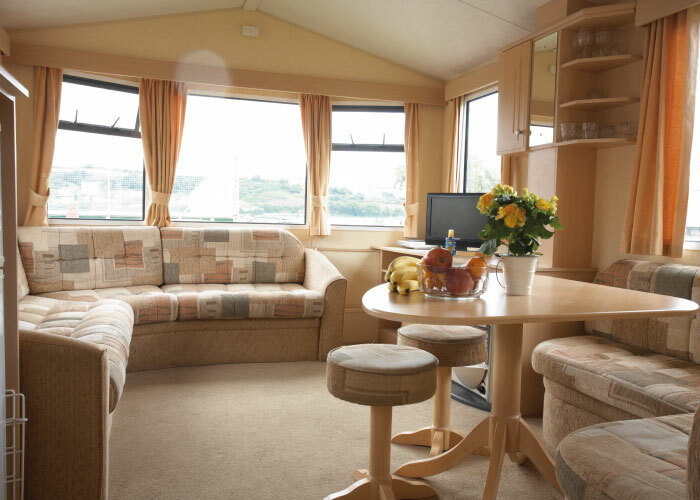 1 double and 1 twin bedroom, plus double sofa bed in the lounge. 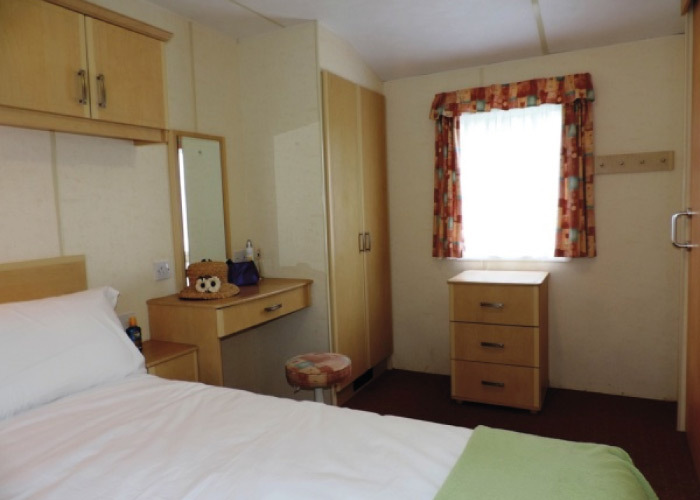 One single bed slides under other giving extra room in twin bedroom. Both bedrooms have fixing for your own hoist. 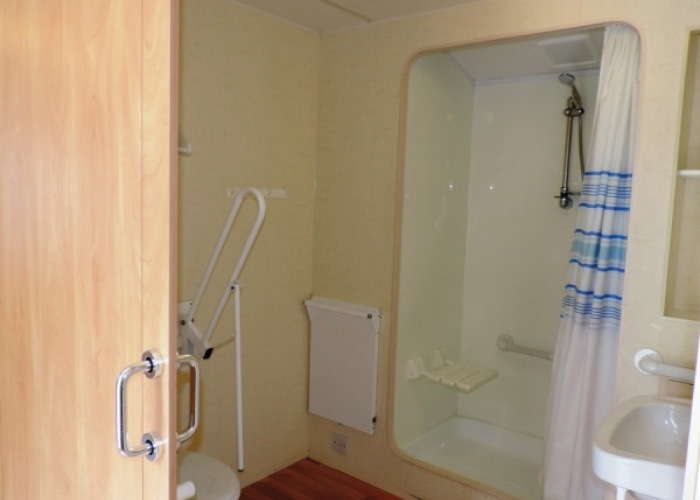 Shower (cubicle with seat is accessible via a 19cm lip). Heating in bedrooms and bathroom. Gas fire in lounge. 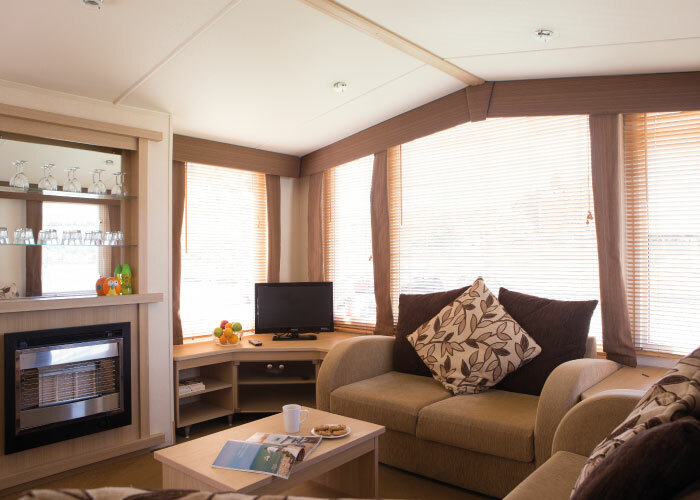 The Otter Mobility Bronze is fully equipped for self-catering. Cooking is a breeze thanks to the oven, grill, stove, microwave, toaster, kettle, and refrigerator. 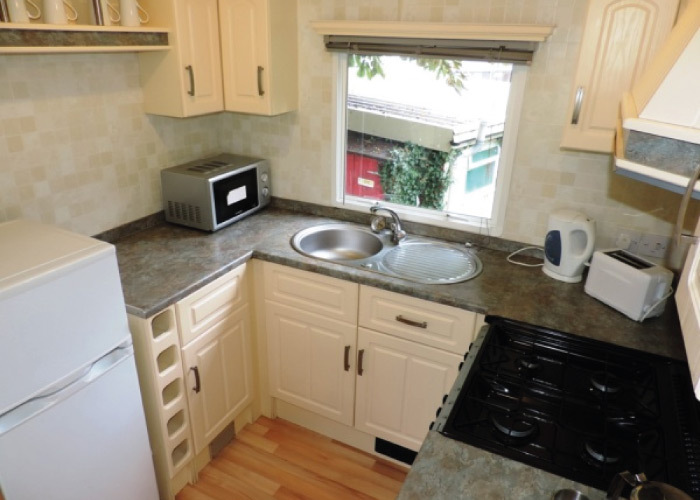 If you'd prefer to not worry about the washing up, we also have Half Board options available. Fri 20 Sep to Mon 23 Sep 2019 You Missed It - Sold Out! Mon 1 Jul to Fri 5 Jul 2019 You Missed It - Sold Out! Fri 28 Jun to Fri 5 Jul 2019 You Missed It - Sold Out!